Jul - 16 | By: Josh Nelson | no comments. If industry hype can kill a film by the sheer weight of expectation alone, then it’s fair to say that few films have been as ‘hyped’ as The Dark Knight. Then again, after the critical and box-office success of Batman Begins, and barely six months after the death of one of its stars, Christopher Nolan’s film was always going to generate big buzz. Yet in spite of all the Hollywood hoopla, viral marketing frenzy, and ad nauseum celebrity tributes, The Dark Knight delivers in style. 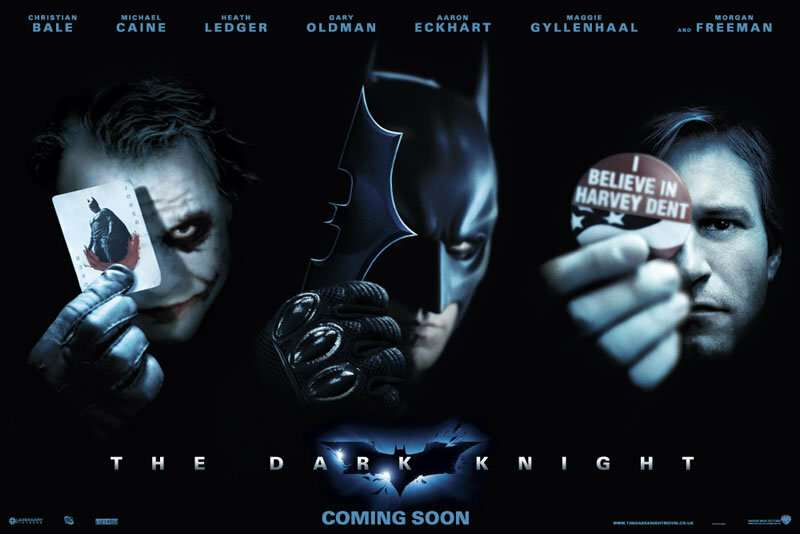 Picking up the storyline a short time after the end of its predecessor, The Dark Knight depicts Gotham as a city in the midst of a cultural and political maelstrom. Batman’s influence has produced a drop in crime and corruption, but the Mafia, stung by his activities is looking to cover their interests and bite back. Enter the Joker (Heath Ledger), a Machiavellian anarchist in colourful threads, who offers to rid the world of the caped crusader for Gotham’s gangland hoods if the price is right. Meanwhile, Bruce Wayne (Christian Bale) is preparing to hand the responsibility for Gotham’s ‘clean-up’ from his masked alter ego to the new district attorney, political ace Harvey Dent (Aaron Eckhart). 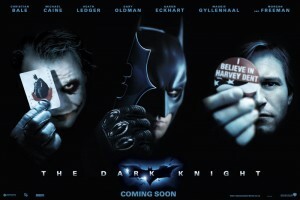 Alluding to the possibility of Batman’s ‘retirement’, and his pursuit of a relationship with Rachel (Maggie Gyllenhaal), who’s currently dating Dent, writers Christopher and Jonathan Nolan structure the narrative through a series of compellingly orchestrated triangular conflicts, firstly between Wayne, Dent and Rachel, and later Batman, Dent, and the Joker. 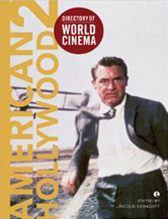 But the strength of the film also lies with the performances. While most of the pre-release attention has been focussed on Ledger’s artfully manic (but perhaps not Oscar worthy) turn as the Joker, the support cast is equally impressive. Bale is again good in the title role, even if the script is less demanding of Bruce Wayne here than in the earlier film, while Michael Caine, Morgan Freeman, and Gary Oldman all exude varying degrees of benevolence and humour, reprising their roles from Batman Begins. Similarly, Gyllenhaal’s turn as Rachel marks a more feisty and determined presence than Katie Holmes’ effort, and her ‘caught in the middle’ relationship between Eckhart and Bale helps drive the film’s final stages. While comparisons with the earlier Batman (1989) are somewhat inevitable, given the focus on Batman and the Joker, there is at least one point of distinction that is worth emphasising here. Unlike Tim Burton’s film in which the relationship between the hero and his nemesis played out through a fairly conventional conflict over good and evil, justice and madness, on this occasion, the Joker serves as a catalyst for various ethical dilemmas pressed upon the dark knight. It’s a moment that, however inadvertently, offers up interesting parallels with the ongoing American political ‘crusade’ (and those sacrifices to civil rights, privacy etc.) undertaken in the hunt for Osama Bin Laden. Even at the very end, Batman seems caught between being the ‘hero’ and ‘doing what’s right’ in spite of the negative impact that such actions may have upon his image. Such rhetoric has become the mainstay of those world leaders caught up in the war on terrorism, and while Nolan may not have intended the Bush-Batman allegory, it’s an issue that may also make for some interesting post-screening discussion. © Josh Nelson, 2018. Unauthorised use and/or duplication of this material without express and written permission from this website’s author is strictly prohibited. Excerpts and links may be used, provided that full and clear credit is given to Josh Nelson and/or Philmology.com with appropriate and specific direction to the original content.